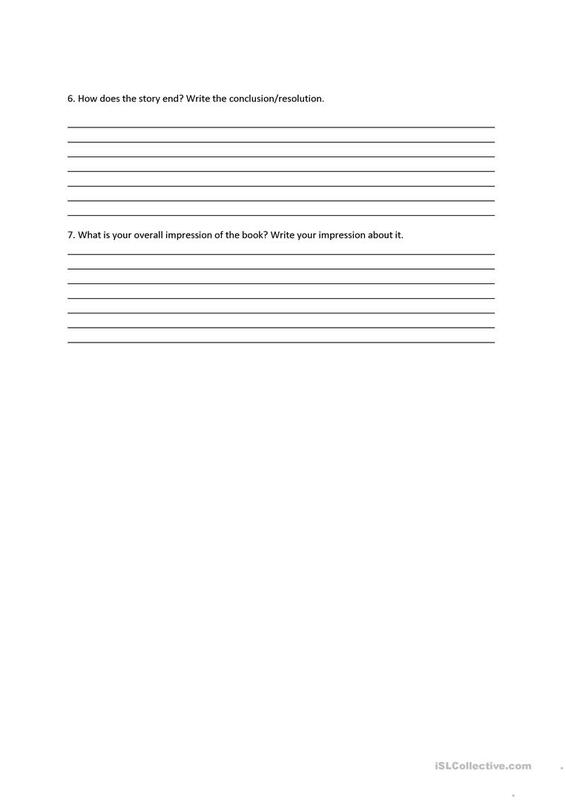 Here is a a simple but useful worksheet that can be used as classwork or homework after a book has been read in class. 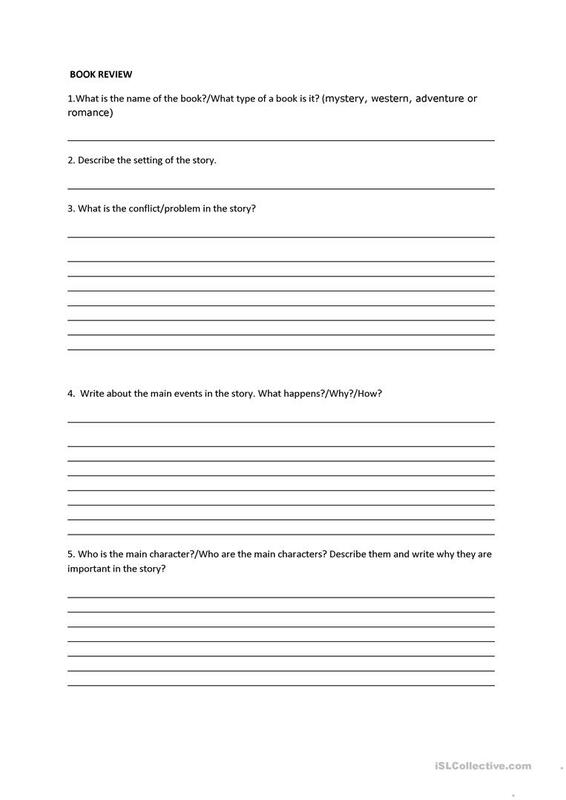 The above printable, downloadable handout is intended for high school students and elementary school students at Pre-intermediate (A2) and Intermediate (B1) level. It can be used for developing your groups' Reading skills.